It is reckoned that in most hospitality establishments, the 80-20 rule applies – 80% of turnover is achieved in 20% of the total opening time. Therefore being as efficient as possible during that particular key period is very important in order to achieve maximum profitability. Of course, there are many different factors which can contribute to the profitability equation, but one area often overlooked is the way that customers’ orders are taken and processed. The thought of investing in any technology that may improve efficiency – especially in a tough economic environment – can be a daunting decision and one that many restaurant owners shy away from. Yet there are affordable products that offer good payback times and can help improve efficiency dramatically. 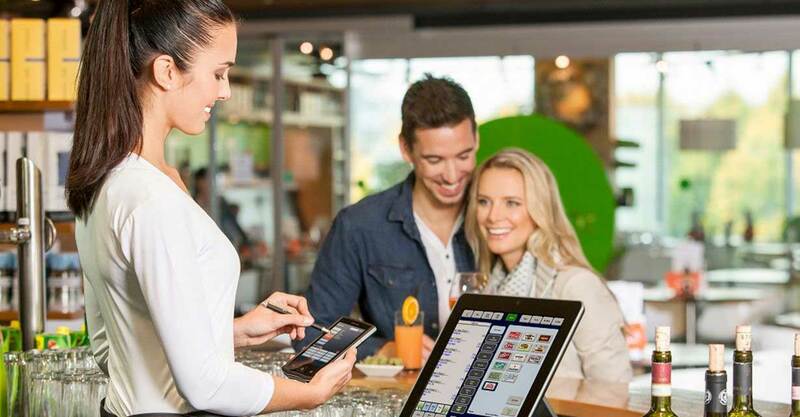 Consequently, an establishment can become more profitable within a short time.One such area is handheld wireless ordering systems. These are designed to make sure the whole process from order taking at the start of a meal to the issue of the invoice and receipt at the point of departure runs smoothly, cutting out idle time. You can split activities so that your best sales people serve the guests, taking orders, processing payments and interfacing with customers in the most efficient way. The servers support them, bringing the food and drink to the table. This division of labour will provide kitchen and bar personnel with more time to prepare and process orders taken by front of house staff. It will also cut down significantly on the distances staff have to walk to process orders and sales staff get more time for customer interaction, potentially resulting in more sales. Just one more beer or one more cup of coffee per guest, projected over an entire year, can result in a significant increase in turnover!So more attentive customer service and the resulting higher table turns can generate additional sales and increased turnover. Taking it a step further, restaurant owners can allocate their personnel more efficiently and use good customer facing staff, who are usually more expensive to employ, to maximum advantage. They can be freed up from other tasks and focus more on interacting with customers. Improved processes and time savings can also result in the same number of staff serving more guests. 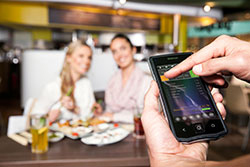 Wireless systems ensure fast, precise ordering and payment processes are implemented directly at a diner’s table. Everything is reliably recorded so there is far less chance of mistakes and nothing is forgotten – especially if the order is more complicated as can be the case with larger parties. And when it’s time to leave, payment is processed at the table and a receipt is printed there and then. Of course many, many establishments have already chosen the wireless ordering system route and have seen increases in turnover thanks to increased efficiency. Restaurant operators have also seen how the working process has been made easier, how less mistakes have been made and even how the stress levels amongst staff appear significantly lower. They have also reported making financial savings, sometimes as much as 13% of their total expenses. In many cases, customers too have noticed and remarked upon an establishment’s overall improvement in service, resulting in that never to be underestimated benefit: customer good will. This means a much greater chance of increasing customer loyalty and more business through recommendation. So where to start? Well there are plenty of suppliers of wireless ordering systems out there. In terms of functionality and the technology, the choice now also includes a solution featuring the latest radio technology and can overcome the shortcomings of wireless. There are hand held units that can be linked into with an establishment’s other management systems. Modularity can also be a bonus and the ability to build upon an initial investment at some stage in the future with integrated technology can be attractive. Customisation is also key because truly every restaurant is different and every owner has individual needs and goals whether financial or otherwise. So it’s good to talk and call in a company with pedigree, expertise and a good track record across the whole area of EPOS and wireless technology! Tierney’s are NCR’s Irish re-seller of the Aloha Hospitality Hardware and Software – call or email us today for a free demo and to talk to our Point of Sale Experts. We currently have one customer in Dublin using the Orderman 7 for their Restaurant. info@tierneys.ie 065 682 8281.